Originally from Australia, Scaevola gained popularity in North America when the intriguing shape of the flowers caught the eye of gardeners. Its thick trailing stems bear Dandelion-like foliage and in the axils of these green leaves the floral spikes appear. The petals appear on one side only, giving the flower a fan-like appearance. The bloom colour remains the same in the rain or sun. 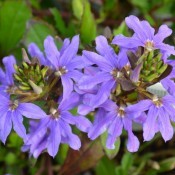 Scaevola is popular for hanging baskets and as an edging plant in a container where it can trail down. 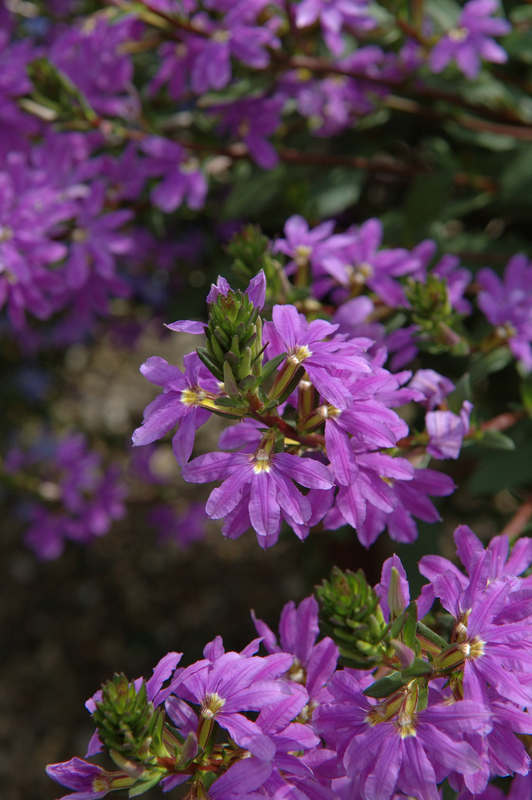 It is also an attractive filler plant in mixed containers, as the trailing habit will spread between other plants. Fan flower can be used for ground cover and rockeries. An elegant and floriferous low spreading ground cover. 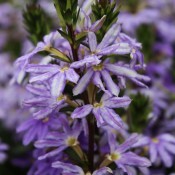 This unique plant has long arching stems and attractive bicolour lilac and white fan-shaped flowers. An outstanding plant for rockeries, borders, mixed containers and baskets.